The cottage is located on a 1/4 section working ranch. It is secluded in a treed area within 10 minutes of restaurants and shopping. It has all the country ambiance with all the modern amenities. 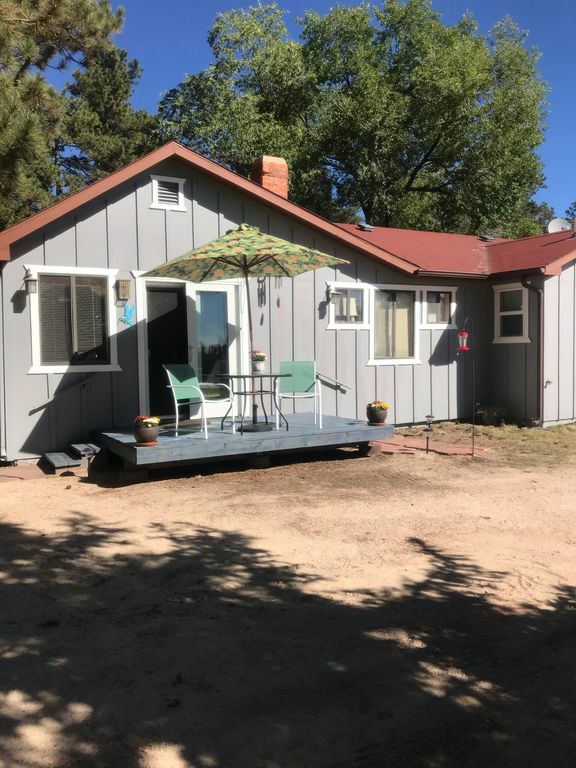 Located 20 minutes from the Air Force Academy, 30 minutes from the Garden of the Gods, 45 minutes to the Cave of the Winds and one hour to the base of Pikes Peak. Organic beef is available for purchase while you stay at the cottage. Organic beef raised on the ranch for sale. Pottery lessons available. Open space available for walking.